Impress bystanders and reduce your carbon footprint with fuel-efficient 2019 Audi e-tron®. Reserve this all-new all-electric Audi at Audi Greenwich and you'll gain impressive performance and top-notch luxury features. Audi engineers have designed the all-new 2019 Audi e-tron® with your unique tastes in mind. Pre-order the 2019 Audi e-tron® at our Audi dealership in Greenwich, CT, today! Lease or finance the 2019 Audi e-tron® and you'll be able to conquer tough New England weather with ease thanks to electric quattro® all-wheel drive. 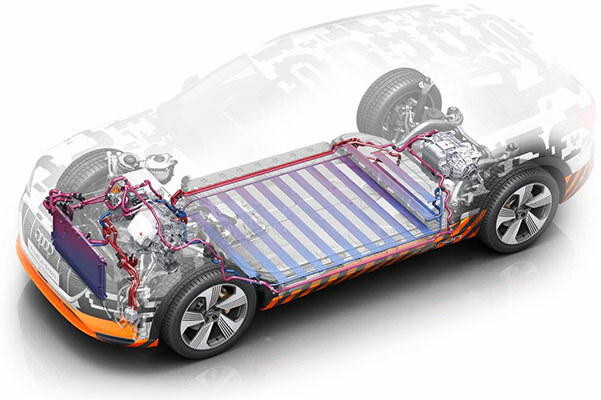 Make the most out of a new Audi e-tron® 95 kWh battery that will help you effortlessly cruise along the roadways of Connecticut, while 150 kW high-speed charging capability ensures you'll never be off the road for long. Choose between AC and DC charging capabilities when you access the SAE Combined Charging System (CCS). Plus, you'll be able to accelerate out of dead stops knowing that the Audi e-tron® boasts two electric motors working in unison. Stop in at our Connecticut Audi dealer to pre-order the new Audi e-tron® today. Or, contact Audi Greenwich to get updates on the 2019 Audi e-tron® release date. Once the 2019 Audi e-tron® arrives on our lot, you'll be able to test-drive this new Audi all-electric vehicle and explore your Audi lease and loan options in full.